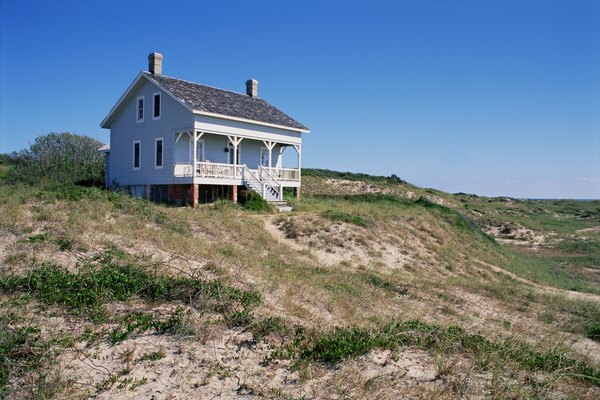 Second mortgages can be used for vacation homes. 2. What Are the Benefits of Putting 20 Percent Down on a Home Loan? 3. What Automatically Denies a Mortgage? A mortgage on a second home, whether it's used for vacation or investment, typically requires the same approval process as a mortgage on a first home. In some instances, lenders apply higher standards when deciding to approve a second home mortgage. Consumers should consider the financial responsibilities associated with a second home and the maintenance costs. Conventional lenders want 20 percent down on new loans. Some lenders require more if they believe the second mortgage is a financial risk for the consumer. To raise the money, homeowners usually consider taking out a home equity loan on their first home. This uses the value of that home as collateral against the second. Home equity loans do not typically have closing costs, but this depends on the lender. In some cases, home equity loan interest may be tax deductible. A consumer’s credit is just as important in a second mortgage as it is in the first. Lenders want to see a positive payment history and favorable credit score. Most lenders prefer applicants with scores above 700, but some will go as low as 620. Most important is the credit history behind the score. Bankruptcies, late mortgage payments and high credit card balances are all risk factors that decrease the likelihood that a lender approves the second mortgage. Lenders want to see reliable, continual income sources, and the applicant needs to prove these sources will continue for at least three years. Therefore, a consumer buying an investment property can't use the expected income for that property on her application. In addition, lenders want a healthy debt-to-income ratio on second mortgages just as much as on the first and prefer a ratio of no more than 28 percent. For instance, a buyer who makes $10,000 per month can't allow his monthly debt obligations to exceed $2,800 per month. Lenders prefer liquid assets, such as savings account funds, and want to see enough cash on hand to prove that the consumer can cover several months of mortgage, insurance and tax payments on his new loan. In addition, the consumer needs to prove he has enough cash on hand to cover all closing costs. Before approving a loan, lenders need an appraisal of the home. The total amount financed can't exceed the market value of the property. If it does, the lender can require a larger down payment or deny the loan. Realtor: Should I Buy a Second Home? What Is the Difference Between a Signer & Co-signer on a Mortgage?